Explore the Milky Way Galaxy and scores of alien worlds and civilizations (as well as create your own). Discover the Federation of Allied Races, beware the conquering Atorian Empire, visit the crime world of Grymdin, and countless others. 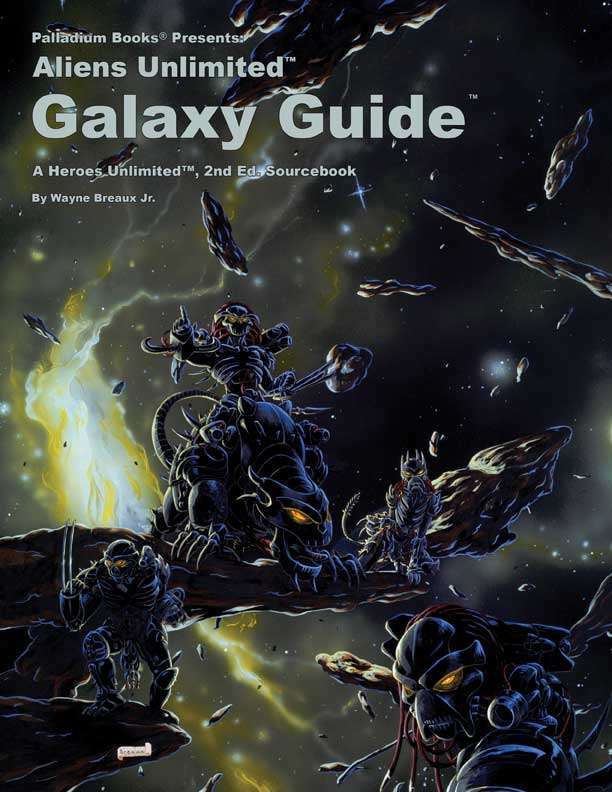 This sourcebook presents everything one might need or want to launch an interstellar superhero campaign or straightforward science fiction adventure. An overview of The Milky Way Galaxy’s most notable alien civilizations. Alien worlds described and adventure ideas. Space travel systems and rules. New alien races and spacefaring monsters. More on the mysterious Riathenors. Tension between the Atorian Empire and Federation of Allied Races. New Skills and Skill Programs, including various space skills. Spacecraft, super-gadgets, gizmos, power armor, and robots. A galaxy of adventure settings and adventure ideas! Written by Wayne Breaux Jr. with Coffin and Siembieda.